The development of Nottingham Arboretum and the other green spaces which are the focus of this project only became possible with the passing of the Nottingham Enclosure Act in 1845, which allowed for the enclosure of 1069 acres. The Enclosure Commissioners were given responsibility for building and widening roads, constructing drains, sewers and bridges, but they also became responsible for the establishment and future maintenance of public walks, gardens, and recreation grounds. Among those projects, for example, were the 12 acres in the Sand Field area felt to be well-suited for The Arboretum. For further information about the 1845 Enclosure Act in Nottingham see John Beckett and Ken Brand, ‘Enclosure, Improvement and the Rise of “New Nottingham”, 1845-67’ (PDF), Transactions of the Thoroton Society, XCVIII (1994, published in 1995), pp. 92-111. 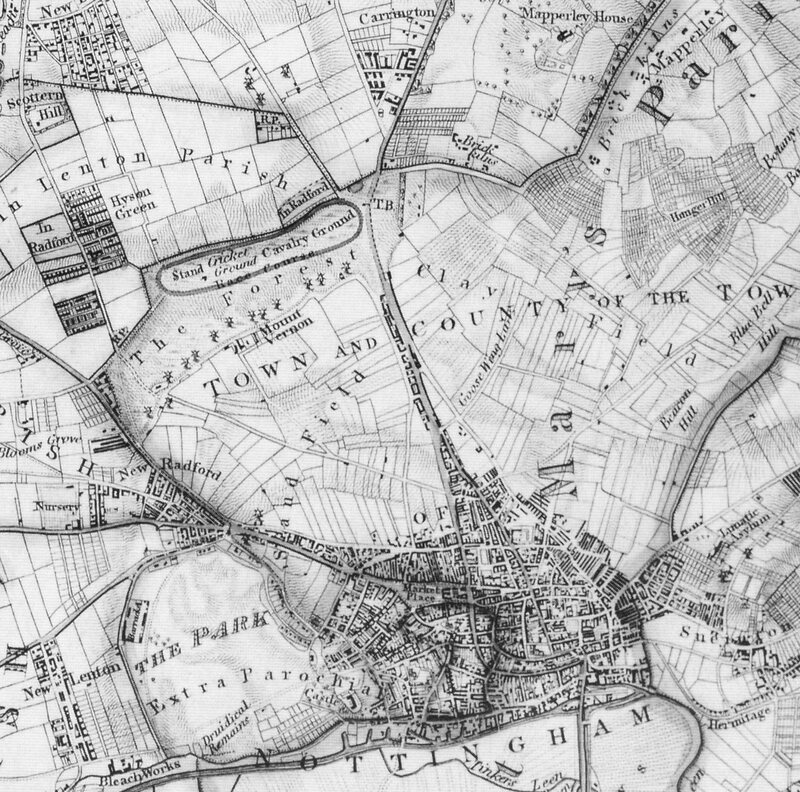 The map extract above from George Sanderson’s ‘Twenty Miles Around Mansfield’, published in 1835, gives some idea of the density of development and overcrowding which Nottingham suffered from prior to the enclosure of the fields around the town. 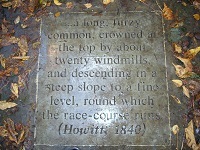 Also visible are the Sand Field and Clay Field which were enclosed to the north of Nottingham. (Click on the map for greater detail).